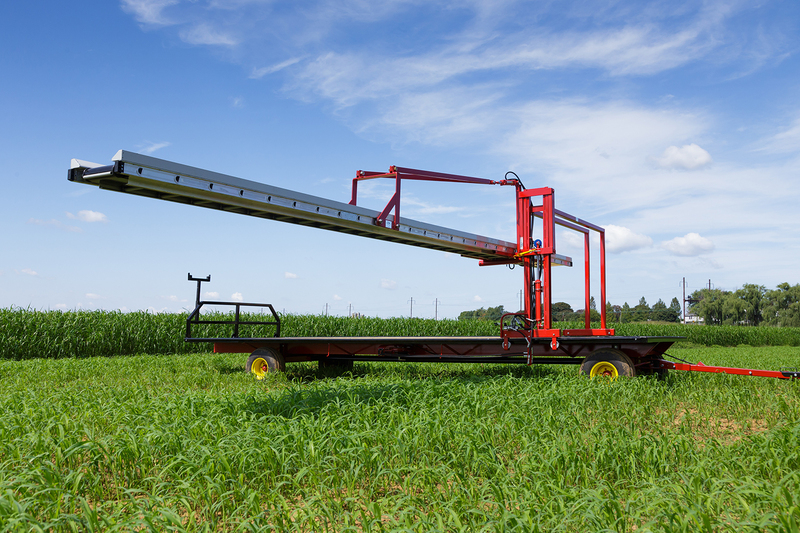 Proveyor Wagon EX-17 | Harvest Pro Mfg. 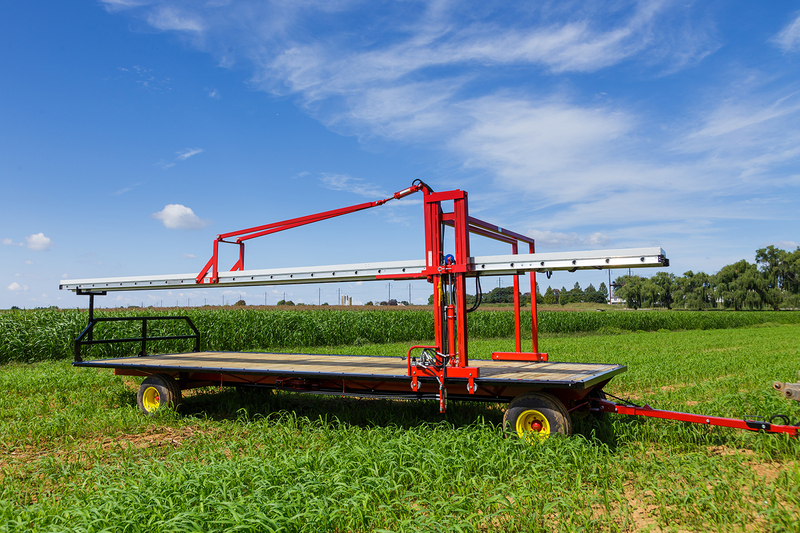 The Proveyor Wagon is a harvesting aid for your produce farm. We all know that harvesting produce like pumpkins, cauliflower, broccoli, lettuce, squash, melons and similar vegetables can be time consuming and back-breaking. Bending over, cutting, and then carrying the produce to the wagon takes a lot of time. 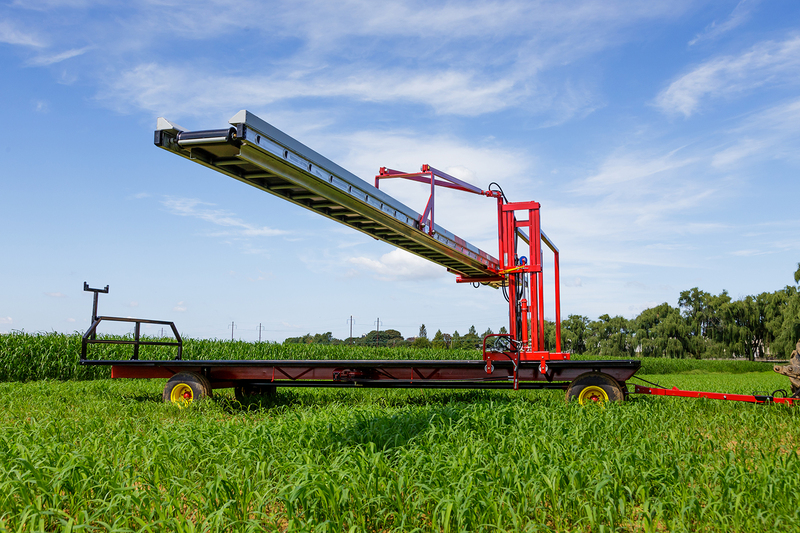 Try one of our hydraulic powered conveyor wagons to speed up your harvesting and save your back. 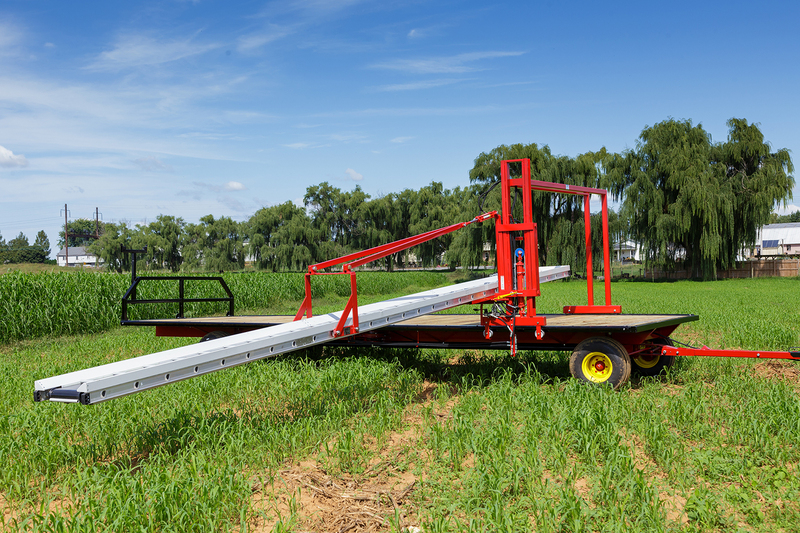 The harvesting conveyor wagon is built to withstand the rugged wear of farming. It features an 8-ton Stoltzfus gear for heavy towing loads. The wagon floor is 2x8 treated flooring. Tires are 12 x 26 10 ply for long term usage. 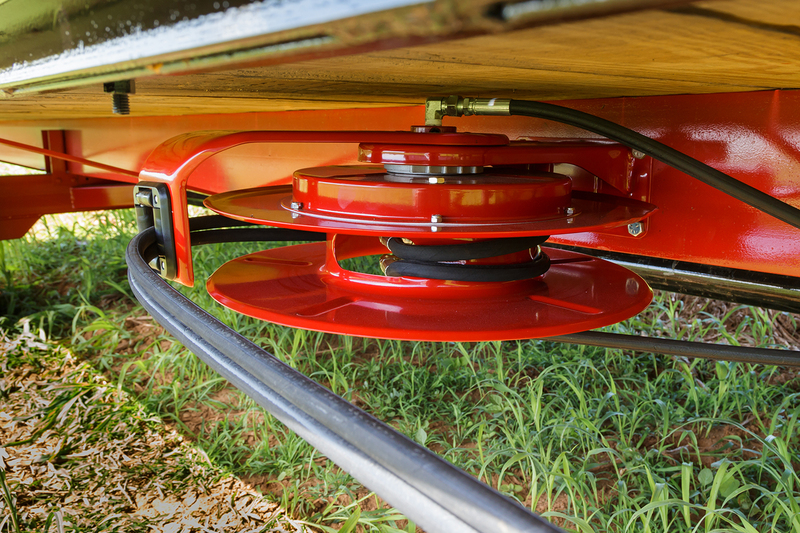 A spring-loaded hose reel keeps the hydraulic hoses out of the way when adjusting the conveyor position. 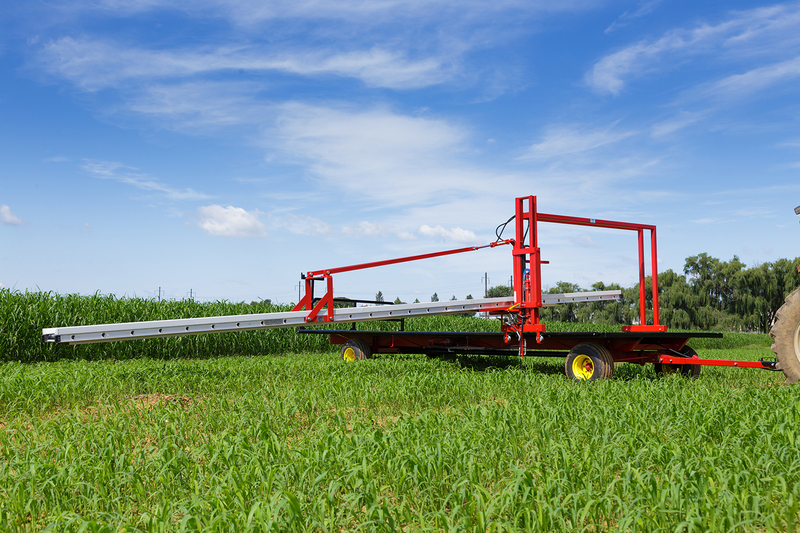 The hydraulics are powered by the tractor or a hydraulic unit can be installed for a horse drawn wagon. 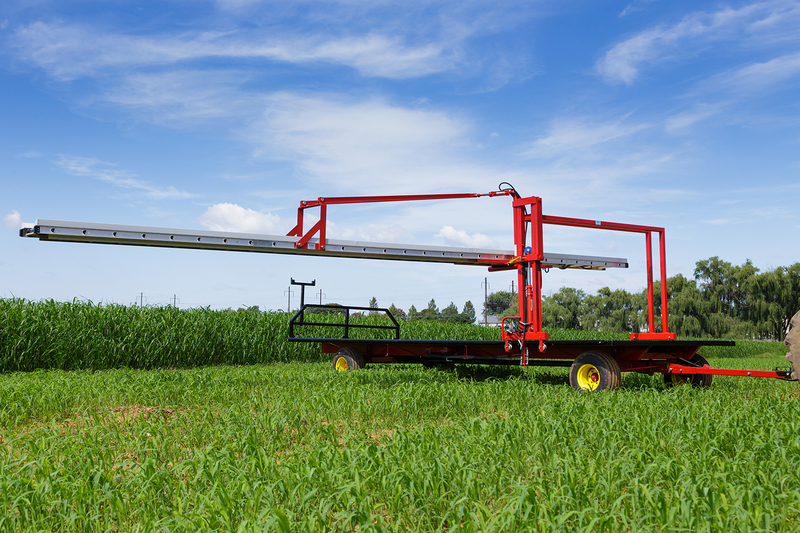 For wagons over 24 feet long we recommend a rear hydraulic steering system. 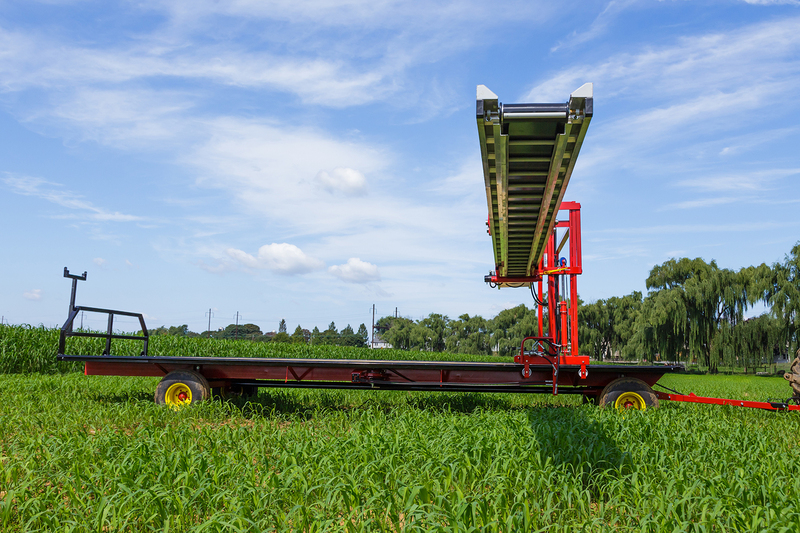 The EX-17 Proveyor Wagon is a custom harvest conveyor wagon with a hydraulic conveyor that is extended out over the crops. The EX-17 can be adjusted to as low as 14” from the wagon bed or to as high as 40”. The conveyor is 28 feet long and has slats every 12 inches. 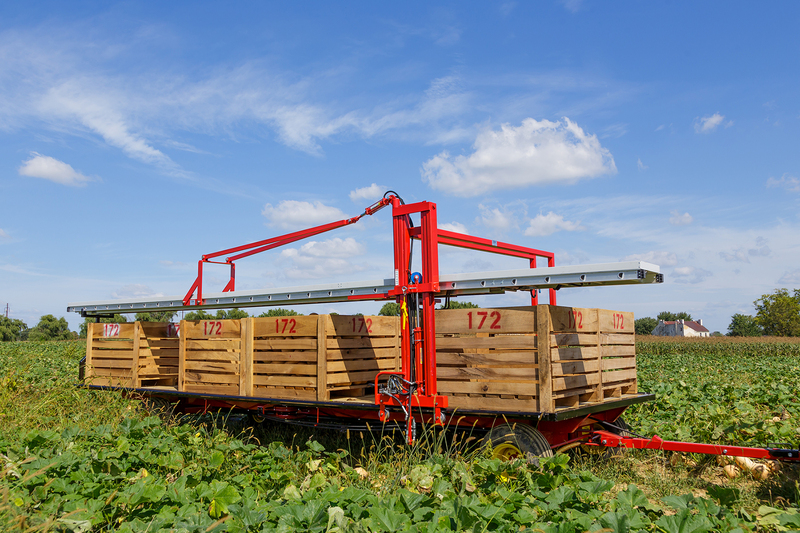 Workers can walk along in the field and place the crop, such as cauliflower, melons, cantaloupe, squash, lettuce, broccoli, and more, in the conveyor to be easily transported to the packer. The packer on the wagon can adjust the conveyor via the hydraulic lifts to better accommodate the position of the pickers. Also, as harvesting progresses and the produce bins get full, adjusting the conveyor forward or backward on the wagon is easily accomplished by the packer. When the wagon bins are full or harvesting completed, the conveyor can be conveniently stowed and the wagon towed back to the farm. Aluminum conveyor 28' long; slats every 12"